A couple posted this notice on their door. 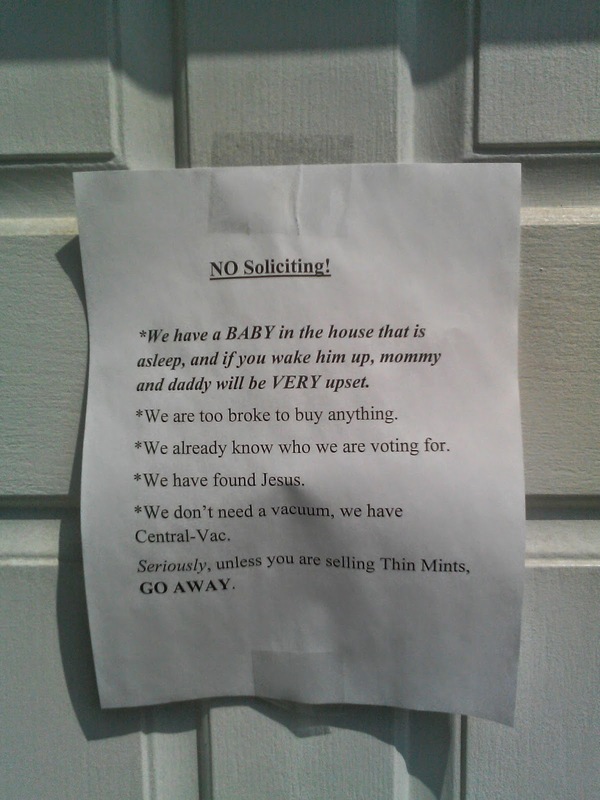 It contains their reasons why they don't entertain solicitors. Upon reading this, solicitors will surely think twice or thrice whether they knock or just move on to another door. But don't lose hope because there's an exception to the rules.